A police officer, whose identity is undisclosed, has been under fire from netizens as he was caught on camera abusing his K9 partner. K9 dogs and police officers are known to undergo intensive training together and therefore they usually have a strong bond. 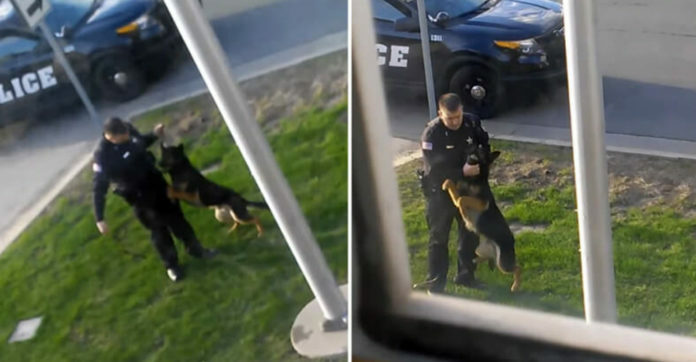 This police officer however, show nothing of the sort when he was caught on video pulling on his K9 partner’s leash.